I'm always interested in knowing why things happen and I hope the following breakdown presents a clearer picture of this past series for all of you. Marc-Andre Fleury is a good goaltender who has dealt with a lot of ups and downs. This series was no different. 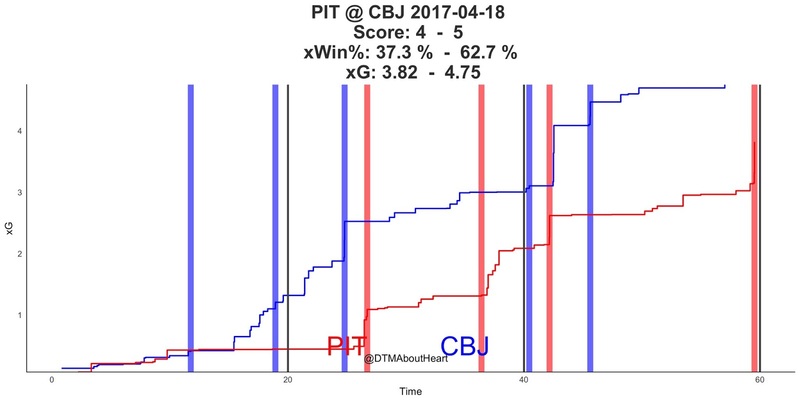 The following charts are from @DTMAboutHeart on Twitter. MAF was the difference here as the Jackets controlled territory better than the Penguins through two periods even though the Pens were winning 3-0. 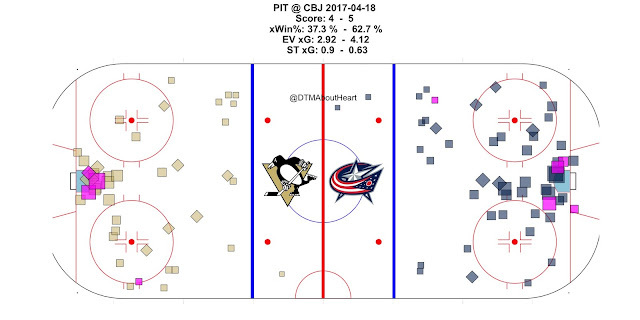 What doesn't make this performance a 100%, is allowing a goal late, plus the fact that Fleury wasn't under heavy fire, AND the defense did a great job of limiting the chances in between the circles. Shots in that area are often referred to "high danger" chances because they occur in between the face-off dots. This game was tighter from a territorial standpoint. 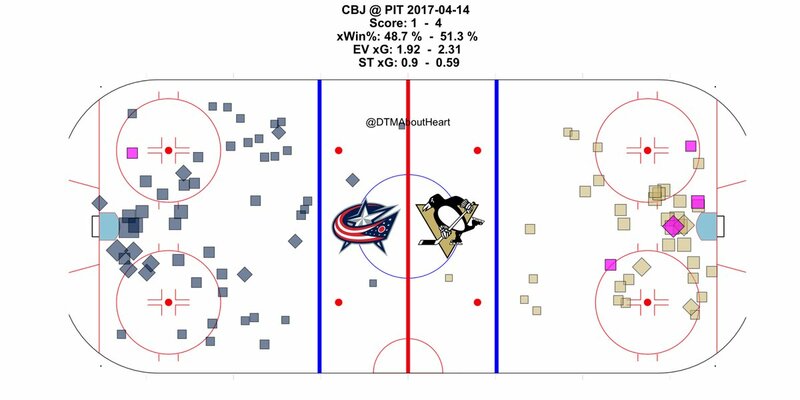 Even so, MAF weathered multiple pushes from the Jackets while also seeing a lot more high danger scoring chances. The lone goal against is the only knock against him here. 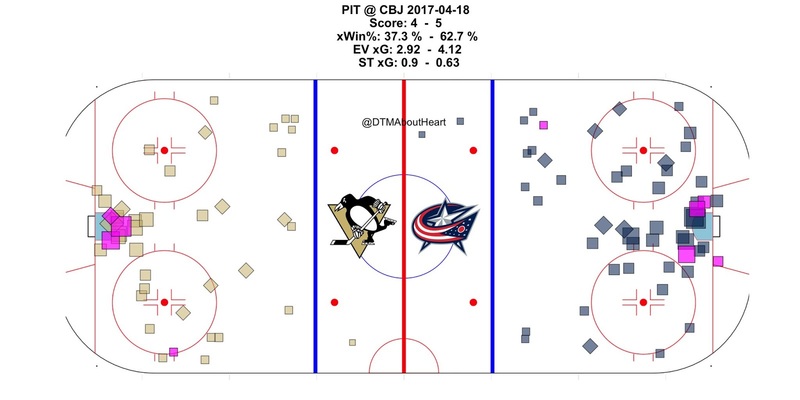 Many will point to MAF's ability in this game to "shut it down" and allow the Penguins to come back after giving up three early goals in the first period. 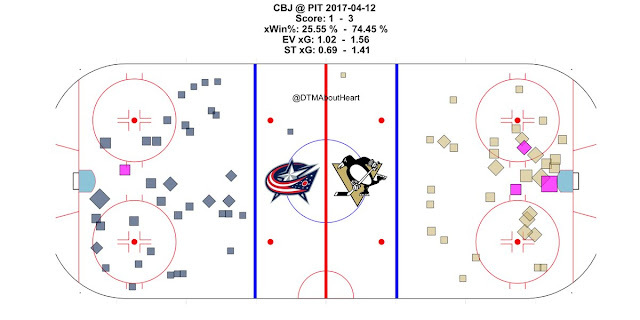 But the Penguins dominated possession after their second goal and the Jackets had a lot of shots from the perimeter. This comeback is a credit to the defense. 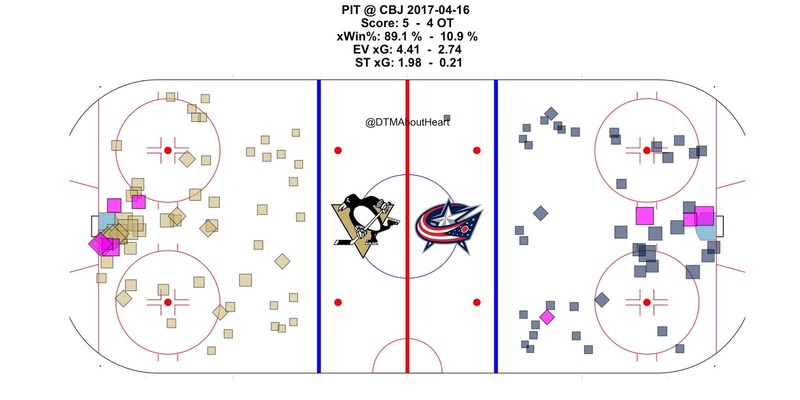 The Jackets only had 15 shots in between the dots and scored on three of them. That combination of poor play in the first period and minimized attack from the Jackets did not help MAF's grade. 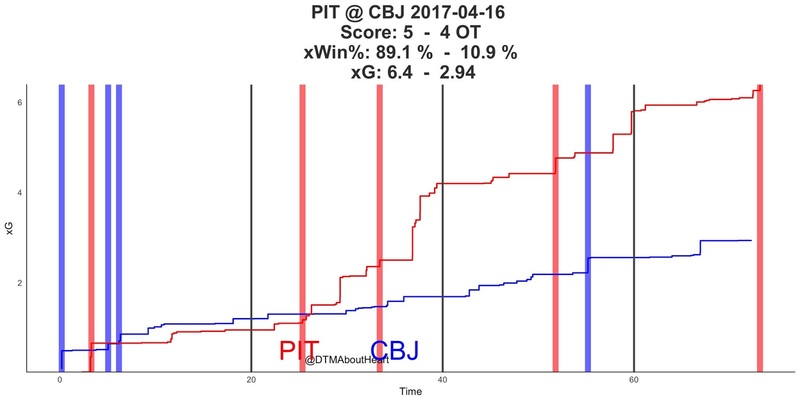 He gave them a chance to win on the road, and that's why it's just above passing. 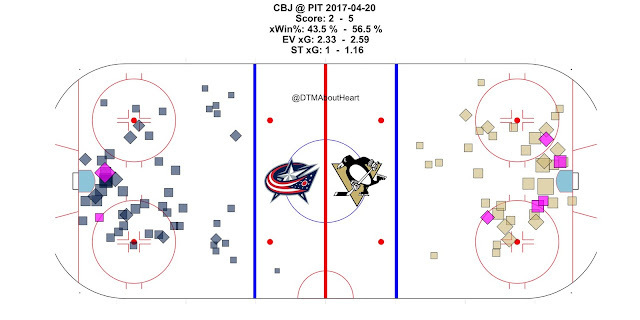 This game was territorially even after MAF gave up the first goal, and continued to be until just over five minutes to play in the first but then the Jackets took over. The Penguins were utterly dominated possession-wise in this game and the score was a reflection of it. Their ability to battle back can only be attributed to the talent on the roster. 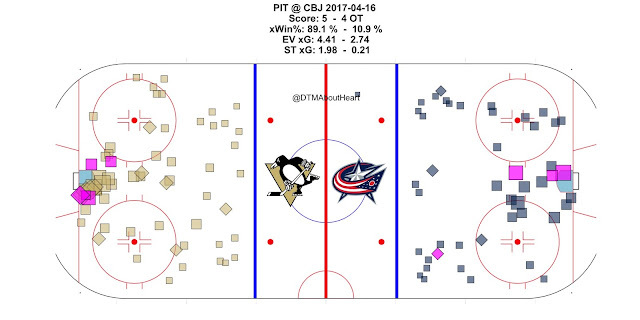 While MAF didn't play well he saw 30 high danger chances in this game alone. 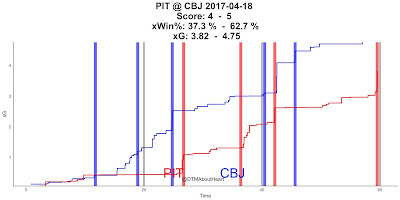 The Jackets earned this win. The couple of concentration lapses that MAF had in the middle of the second hurt him. 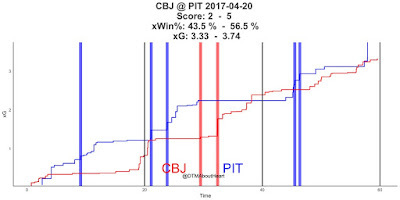 While the Penguins weathered a couple pushes from Columbus, they were in full control when these goals went in. 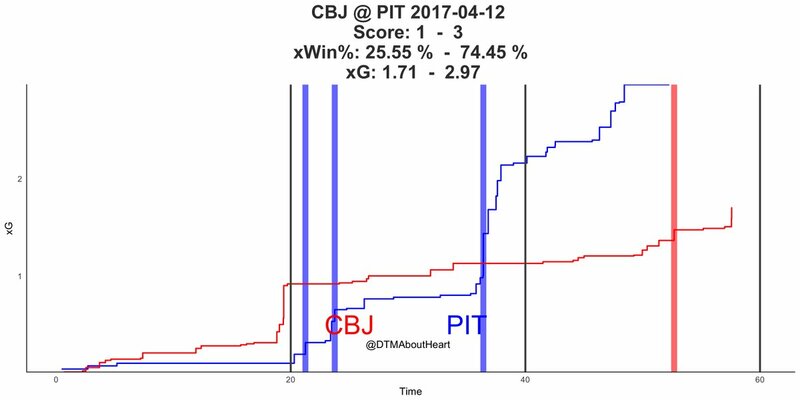 Similar to Game 2, Columbus threw a ton of high danger chances at MAF. Once again he handled it well. 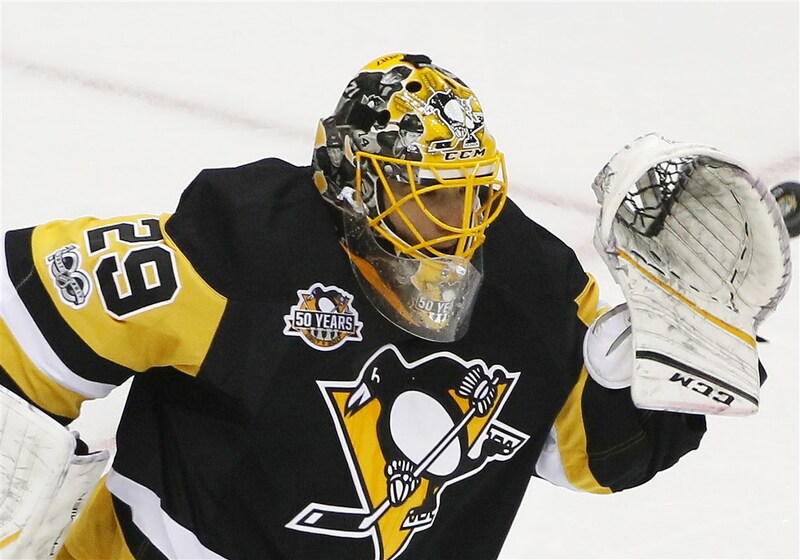 MAF played very well as his grades from the games average out to a 90.8 or 91% which is a B+. 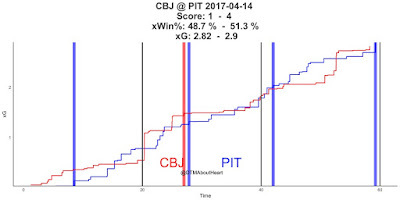 However, the Jackets don't have enough fire power to compete with the Pens. 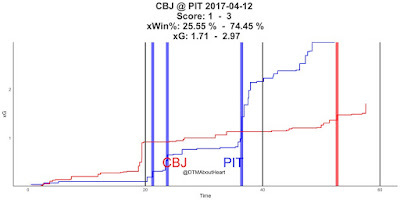 A better opposing goaltender (see: Washington Capitals) and more talented team (see: Washington Capitals) would have made those games a lot tighter and potentially a longer more difficult series for Pittsburgh. 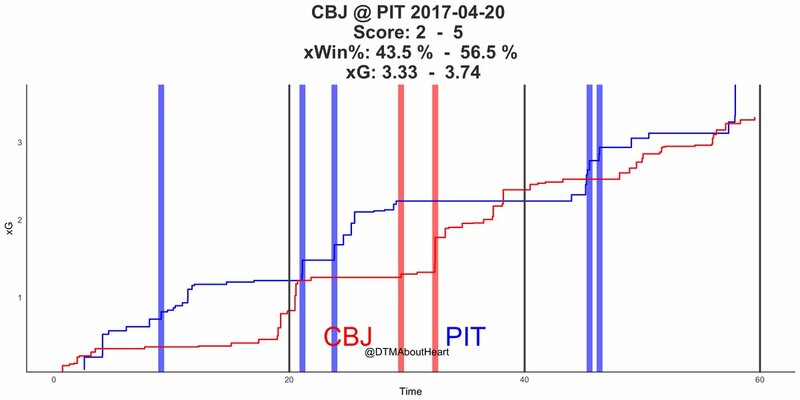 Six out eight teams who are still in the playoffs had higher even strength save percentages during the first round than MAF's (.933). So, he has to be better moving forward simply because of the competition. The good thing is that the other team outside that top 6 is....the Washington Capitals. 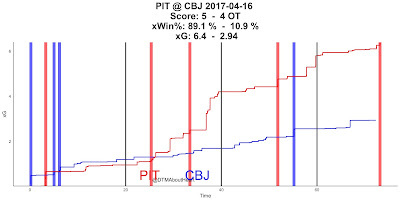 So, outplaying their goaltender is paramount.